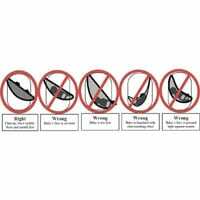 March 12, 2010—The U.S. Consumer Product Safety Commission (CPSC) is advising parents and caregivers to be cautious when using infant slings for babies younger than four months of age. In researching incident reports from the past 20 years, CPSC identified and is investigating at least 14 deaths associated with sling-style infant carriers, including three in 2009. Twelve of the deaths involved babies younger than four months of age. CPSC is interested in receiving incident or injury reports that are directly related to infant slings. You can report an incident here or call CPSC’s Hotline at (800) 638-2772.